This classic treatise on monetary theory remains the definitive book on the foundations of monetary theory, and the first really great integration of microeconomics and macroeconomics. As Rothbard points out in his introduction it is "the best book on money every written," and economists have yet to absorb all of its lessons. from Mexico The philosopher stone on economics ! 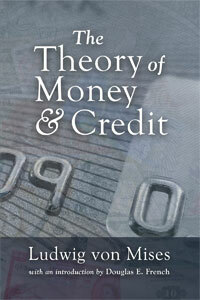 This book is a milestone on economics, a high intellectual debate on monetary theories and business cycles. The currency school vs banking school debate is the cornerstone of Mises theory in which He expound banks expansion of credit through the discount of bills and not merely by government inflation, He develops a new non mathematical treatment of economics based on Franz Cuhel theory, and also pioneer the application of Austrian marginalist law on Money. This is a 100% guarantee product, as  Anderon says 'In von Mises there seems to me to be very noteworthy clarity and power. His Theorie des Geldes und der Umlaufsmittel is an exceptionally excellent book "
This volume might be called the Mises Reader, for it contains a wide sampling of his academic essays on money, trade, and economic systems.